Septembers on the coast are truly fantastic because this is coho time. Coho flood the ocean waters all up and down the coast as the summer progresses. They grow tremendously fast in these herring rich waters and by the time September rolls around there are plenty of robust, 8 to 14 pound eating machines out and about. 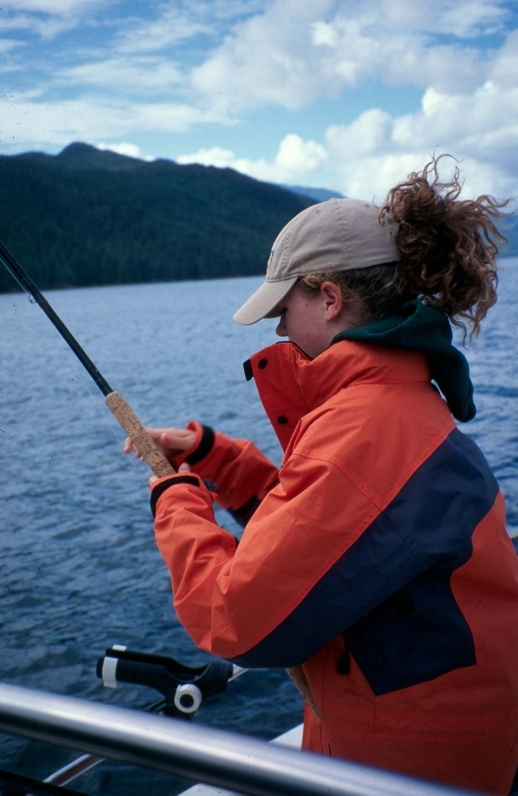 Anglers call them northerns, a reverence bestowed upon them for being the biggest of the big. And while land based anglers wait patiently for fall rains to bring them into the rivers, those with a boat get to go out and meet them; and get into some of the best salmon fishing of the year. 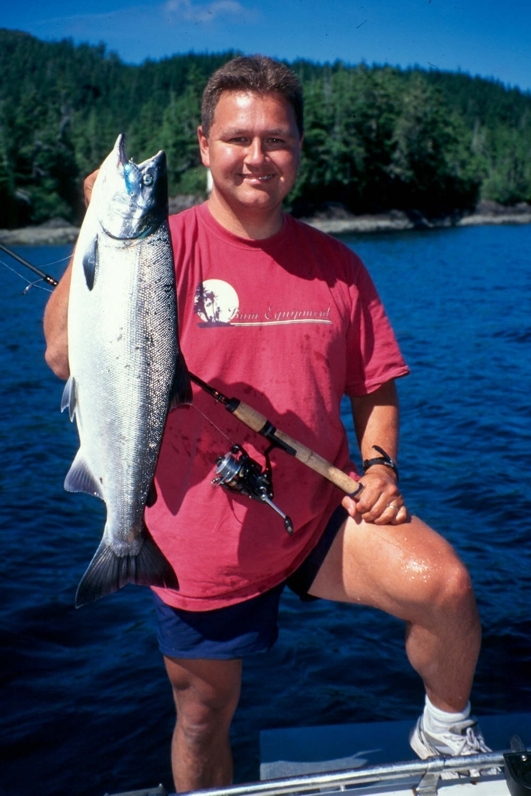 Coho are wonderful because they can bite all day long and on many occasions they do. That said, mornings, evenings, tide lines and tide changes have given me my best fishing. 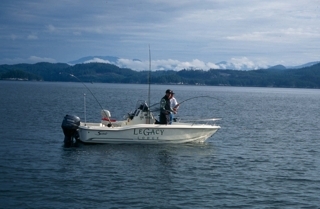 The fishing is often great off shore because the coho are on the heavy feed before their fall run up the rivers. I’ve cleaned coho that had six or more supersized herring in them, yet they’re still looking for more. This all out feeding behavior is unmistakable. I’ve had them crush lures skipping on the water’s surface as I was trying to clip the line onto the downrigger cable. I’ve seen them chase downrigger balls right to the surface. We had one downrigger weight that was shaped like a fish and there were all kinds of times I watched coho come right to the surface and take a smack at it. These fish were aggressive and I swear if I had put a hook on that downrigger weight, I would have stuck a few, which brings me to the subject of catching them. The beauty of coho fishing is that they are a shallow water salmon. In many places you don’t have to fish more than 60 feet down and oftentimes they’re a lot shallower. 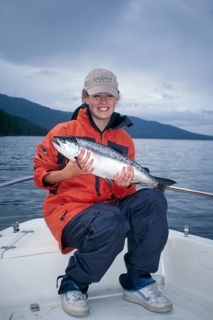 While downriggers are handy, they’re not always necessary for coho. Attaching a four to six ounce weight to the line will do the trick. I like to use those banana weights with the swivels on both sides. For those that flyfish, trolling a fast sinking line with a bucktail fly is super effective; just snap the fly forward every now and then for added action. When it comes to my lure of choice, it would be trolling an anchovy behind a teaser head. Without fail this has caught me coho everywhere. With a built in action, I can simply tie on a four ounce banana weight, attached the anchovy and be fishing. Another lure that has caught me a ton of coho is trolling the Apex Hotspot. I like to use the smaller sizes in green or black and troll them in tight to the boat. Some people call this a prop wash technique, as the lure is clearly visible wiggling for all its worth maybe twenty, twenty five feet back. That way I can actually watch the coho come up, chase down the lure and hammer it. 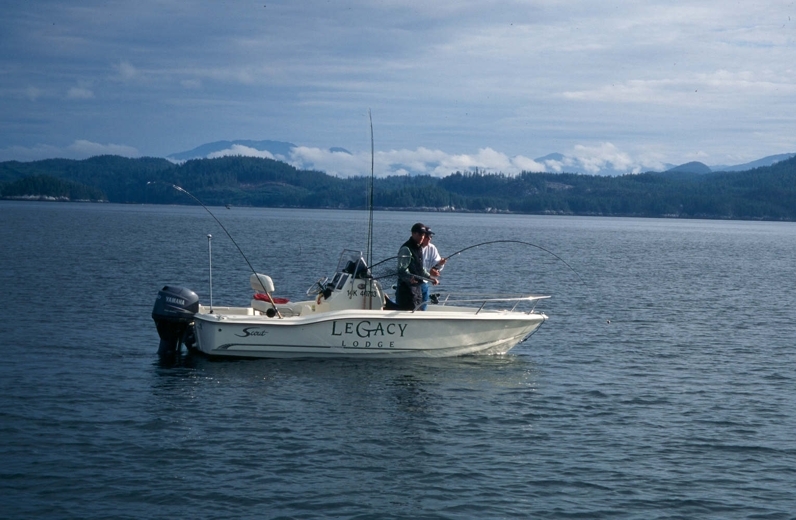 As funny as it sounds, this is an effective technique and some have told me that the coho are there because they like to follow in the boat’s disturbance, then lock on to the lure. Whatever the reason, it’s a winner and it’s a lot of fun. 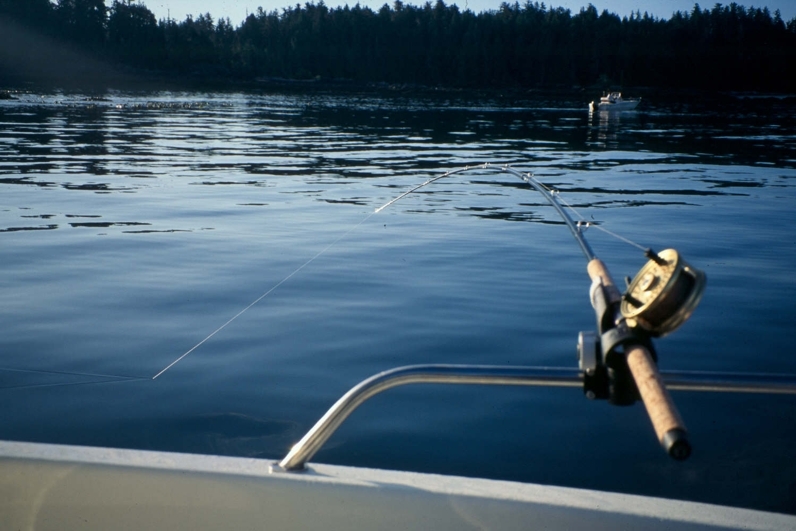 There are many days I hit the ocean and forgo trolling in favor of hunting fish. What I’m looking for are fish jumping or better yet swirling on the surface. 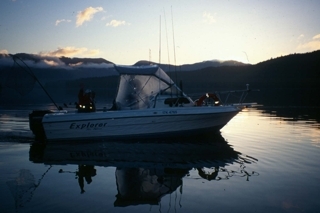 When I find them, it’s off with the motor, out with my pike rod and reel and on with a spoon like the koho or kitimat. I run 14lb Fireline and I cast to the feeding fish. A fairly quick paced twitch retrieve gets a lot of them to bite. The takes are hard and there have been many times the fish jump so high I’m practically eye to eye with them. Regardless of technique, going after coho with pike gear is a real workout for the tackle and a whole new level of fun for the angler. Don’t be surprised to catch the odd other fish to. I was slow trolling an anchovy with my pike rod and picked up a big fish. I got it close enough to see what I was attached to; it was about a 6 foot shark. I didn’t catch him, but I have enjoyed the bonus of a Chinook on several occasions while fishing for coho. September is a fun time of year. 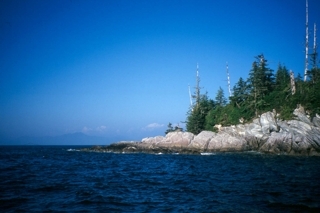 The coho are in, they’re big, they’re plentiful and they’re biting. That same fish filleted and cooked on the barbeque is a real treat, which is why I venture west from the prairies nearly every chance I get.